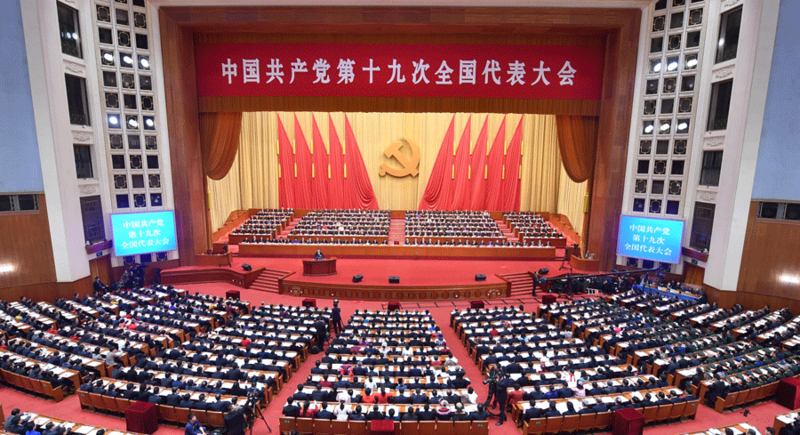 The Communist Party of China (CPC) has just concluded the first session of its 19th Party Congress. General Secretary Xi Jinping emerged from the week-long event as the nation’s most powerful leader since its opening-up to the outside world in the 1970s. In this report, Mark Rushton, Kevin Ma and Peter Folland from FTI Consulting discuss some of the likely implications of Xi Jinping’s Thought for China’s economy, foreign business and Chinese outbound investment. At the 19th Party Congress, General Secretary Xi strengthened his political position by elevating himself to a status only previously held by Mao Zedong, stacking the Party’s highest-level executive bodies with his allies, and enshrining his own eponymous philosophy in the country’s constitution as a guiding vision for a new third era in the century-long history of the CPC. This new era starts now and will last until 2049 when the Party will celebrate the centenary of the founding of the People’s Republic of China. 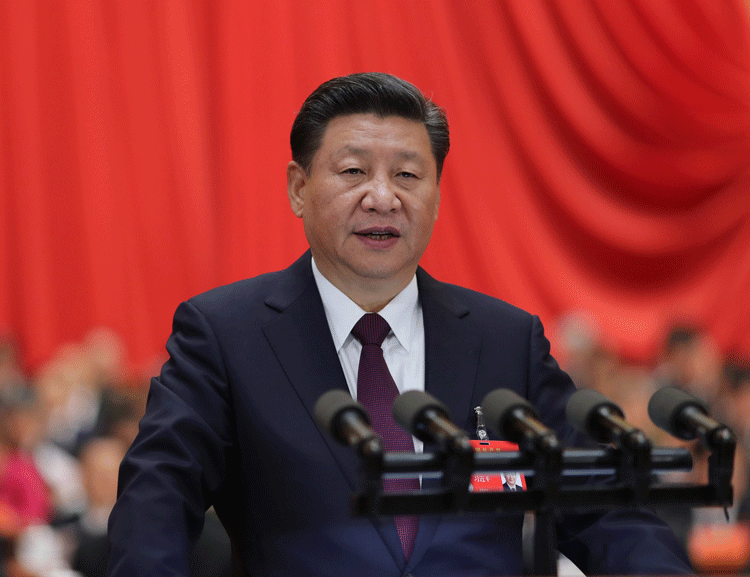 ‘Xi Jinping Thought on Socialism with Chinese Characteristics for a New Era’ will therefore guide all aspects of China’s development and policymaking over the coming decades. Whether foreign businesses like it or not, they should be paying attention as they will need to get to grips with its major thrusts and tenets. One takeaway for foreign businesses from the 19th Party Congress is that China’s leadership firmly believes that the country’s current political and economic structure, underneath the leadership of the CPC, is capable and best placed to address the various challenges it is facing. It recognises significant challenges in areas like income inequality and environmental degradation, and is intent on finding solutions to those problems by enacting smarter social and industrial policies and by enhancing existing regulations. 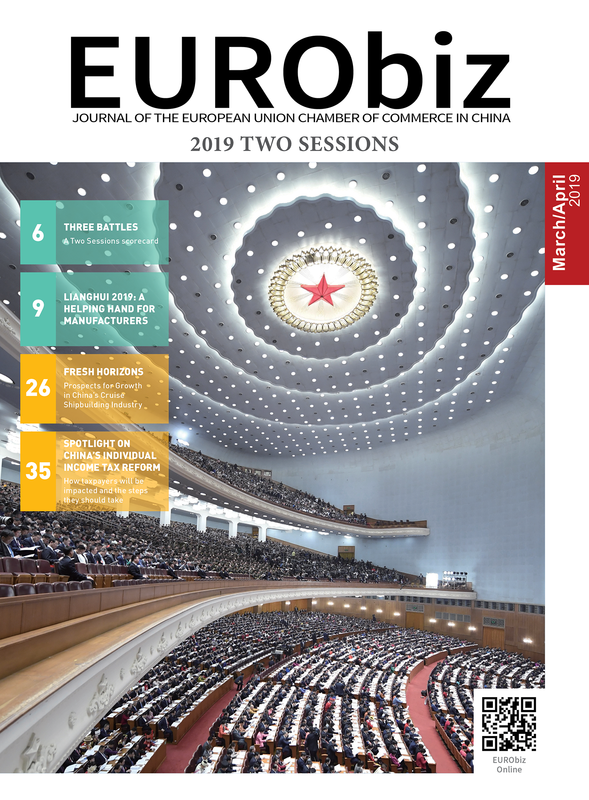 For foreign businesses hoping to understand where China is heading, this suggests that policy progress will probably be made in areas that are aligned with the government’s overall political agenda and Party priorities. This means a heavier emphasis on issues like environmental protection and an avoidance of financial risks – even if the government has to accept slower growth in the process. This also suggests a prioritisation of state prerogatives, such as using industrial policy to boost innovation and move up the value-added production chain. The current administration will likely also emphasise and bolster perceived national security issues. Thus, cybersecurity will remain at the forefront, and the government will likely extend its push to regulate, control, and better access information and data flows. These initiatives are extensions of priorities that General Secretary Xi has focused on these past five years. While an even stronger role for the Party was emphasised at the 19th Party Congress, this does not mean the CPC is averse to the market playing a larger role in the economy. Instead, recent events indicate that the CPC is determined to expand its hybrid model, mixing heavy state involvement in some sectors with liberalisation and openness in others. While the days of central planning are long gone, now is the time of ‘central guiding’. In other words, the Party will have a role to play in setting a framework for every sector of the market, even if different market segments are characterised by varying levels of state involvement and oversight. We see three broad categories for industry that will likely be relevant. The State will maintain a dominant role in key sectors of the economy – Pillar industries and critical infrastructure sectors such as telecommunications, energy, construction and finance, will continue to be dominated by state-owned enterprises (SOEs) as these industry areas are considered vital to national security and economic control. However, there will be some liberalisation in these sectors, potentially creating new opportunities for foreign businesses. The government will most likely try to increase market competition in a way that pressures SOEs to improve their competitiveness without letting private or foreign interests dominate. Private investment will also be encouraged to an extent to deleverage debt and enhance corporate governance within SOEs. The government will expand industrial policy programmes in strategic sectors – The economic areas of interest that the country has identified are closely aligned with the Party’s innovation goals and have already been made clear in existing policies such as the Internet Plus strategy and the Made in China 2025 plan. These policies target industries that the government has identified as areas of high growth, including high-tech manufacturing, robotics, environmental technologies, new energy vehicles, next-generation information technology, semiconductors, biopharmaceuticals and aviation technology, among others. This will mean continued regulatory risks for foreign firms that operate in these sectors. The government will not close these sectors off to foreign investment entirely, but will prioritise domestic industry and China’s innovative capacity above openness to foreign players. Robust government spending and preferential market access treatment for Chinese enterprises will therefore likely continue in most of these sectors as the country uses its own massive marketplace as a springboard to develop domestic players that can compete globally. The government will still allow the market to play an important role in a number of industry areas – The revised CPC charter that was approved during the 19th Party Congress called for market forces to play a decisive role in the allocation of economic resources. Following from this, it is expected that there will be continued efforts to increase market forces in the services sector and in industries that can promote productivity or satisfy the societal objectives Xi outlined in his vision for China’s future. While Beijing may seek to increase its influence in private firms, it will not claw back the free market entirely. Other sectors in which the government might look to inject more private competition include healthcare, environmental protection and education, although the jury is still out on whether this will involve significant market opening to foreign businesses. Foreign investors have largely been frustrated with the slow pace of the opening-up of certain domestic markets over the past five years. However, the next few years may present an opportunity to achieve long-desired breakthroughs in a number of sectors. This is particularly the case as the government understands the need to attract further foreign investment to offset likely capital outflows as outbound investment starts to tick back up. While capital controls were not directly addressed during the 19th Party Congress, our overall view is that current restrictions on overseas mergers and acquisitions (M&A) will be loosened going into 2018. However, the theme of party empowerment over key economic and business decisions is also likely to become more formalised. China’s regulators will push for a greater say over where and how China’s financial resources are deployed. The government will likely only grant outward remittance of foreign currency if it regards an outbound investment as beneficial. This means that ‘irrational investments’ into areas like sports clubs, real estate and entertainment will continue to be reined in as the government attempts to direct capital into preferred areas. Investments that are supportive of the Belt and Road Initiative – which was enshrined into the CPC constitution during the 19th Party Congress – as well as investments that serve to boost access to technology and R&D will be encouraged. However, the government is likely to step up its scrutiny of all outbound investments, even in these encouraged areas. Regulators want companies to make investments that are aligned with their core business and to provide sophisticated analyses showing likely returns on their investments. The government will also use its regulatory oversight capabilities to try to ensure that all Chinese companies making overseas investments are financially healthy and will not be taking on risky levels of debt to fund such transactions. This targeted approach towards outbound M&A is also likely to increase government-to-government tensions with the West. A renewed push from Chinese businesses to acquire western technologies and firms in industries related to the Made in China 2025 policy will further pique governments in developed nations, particularly as China looks set to maintain market access barriers to foreign firms and continues to offer favourable conditions to domestic enterprises that operate in these sectors. We are already witnessing rising resentment against Chinese investment in the West, which is leading to increased calls for reciprocity from politicians and businesses in both the European Union and the United States. The European Commission, for example, has this year tabled a proposed regulation to establish a framework for screening foreign investments into the bloc, which was drafted following pressure from the governments of Germany, France and Italy to develop a system that can counteract investment asymmetries with China. Chinese firms are thus set to experience increased levels of scrutiny, particularly SOEs and those investing in more sensitive, high-technology sectors. We have now entered the third chapter of modern China, and it is General Secretary Xi’s chapter to write. From a business perspective, his consolidation of power at the 19th Party Congress should position him to more easily address his long-term strategies and economic reforms during his second term. General Secretary Xi and his administration clearly see daunting obstacles and impediments to China’s future progress, and are eager to address outstanding problems ranging from financial risk to pollution and income inequality. The concern for foreign businesses is that the leadership may often perceive the solutions to the country’s economic and industry issues as best being found in increased government oversight and additional policy rather than through free markets and liberalisation. Mark Rushton, Kevin Ma and Peter Folland are part of the China Public Affairs team in the Strategic Communications segment of FTI Consulting. FTI Consulting is an independent global business advisory firm dedicated to helping organisations manage change, mitigate risk and resolve disputes: financial, legal, operational, political & regulatory, reputational and transactional. FTI delivers an unmatched combination of breadth and depth of expertise across a worldwide network of more than 4,600 employees located in 29 countries on six continents. To find out more about our services in the region, please visit http://www.fticonsulting-asia.com. Share the post "Doing Business in Xi’s Era"